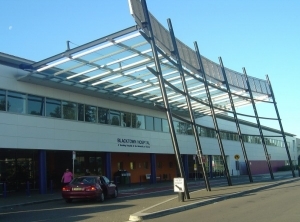 The NSW government has announced a review into the security of NSW hospitals after a nurse was stabbed at Blacktown Hospital. The NSW government has commissioned a review into the safety of the state's hospitals after several violent incidents. Health minister Brad Hazzard on Friday announced the review would be headed by former Labor health and police minister Peter Anderson. The terms of reference of the report will consider security contractors in hospitals and the training of staff to handle violent incidents. The review comes after a nurse was stabbed at Blacktown Hospital in August and another incident where a person threatened staff with a knife at Nepean Hospital. Mr Hazzard said the review would be handed to government by late February, just weeks before the state election. "If Mr Anderson finds gaps in the current approach or comes up with new ideas the NSW government will take the opportunity to make our hospitals even more secure," Mr Hazzard said in a statement. Mr Anderson said he would consult medical staff and unions as part of his review.